NEW YORK—November 30, 2017— As CAIS continues to expand its solutions for the independent wealth management community, the firm has made several moves to strengthen its platform by adding new leadership to its finance and product teams along with the anticipated opening of additional regional offices. Markus Persson has joined CAIS as Director of Finance and David Kaul has joined as Director, Alternative Investments. Director of Finance Markus Persson was most recently Head of Corporate Accounting and Associate Director of Point72, L.P. In his new role, Markus will be responsible for leading all areas of Finance and Accounting for the Firm. Persson was previously with KPMG, LLP where he oversaw financial due diligence and audits for a range of clients including Credit Suisse, Deutsche Bank, American Express and the U.S. Treasury. Prior to launching his financial career, Persson was a professional soccer player in Sweden. David Kaul brings extensive experience to his role as Director, Alternative Investments. He comes to CAIS from Stifel Nicholas & Co. where he headed up hedge fund and long-only LP manager research for Stifel Alternative Investments Group, which manages approximately $2 billion in liquid and illiquid investments. At CAIS, David will be in charge of fund origination, onboarding and relationship management. Kaul has also held positions with Barclays, where he was head research analyst, as well as with Muirfield Capital Management, Viking Investment Group and Union Bancaire Privée Asset Management. 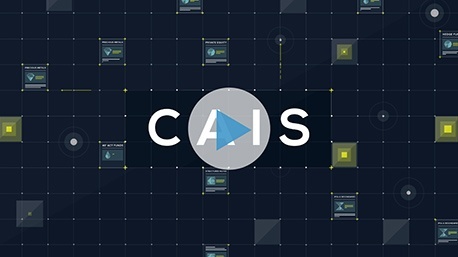 The CAIS platform was launched in 2009 with the mission of empowering independent advisors by providing access to specialized investment products and services combined with a superior experience. Since that time, gross transaction volume has surpassed $5 billion, with over 650 advisor firms/teams actively transacting on the platform while thousands more regularly explore investment opportunities.